Comments Off on What is Cannabis Insurance? Although cannabis is legal both recreationally and medically in many states, the drug is still a banned substance at the federal level. Therefore, many companies in the marijuana industry face stiff barriers when operating the organization and in obtaining financing. 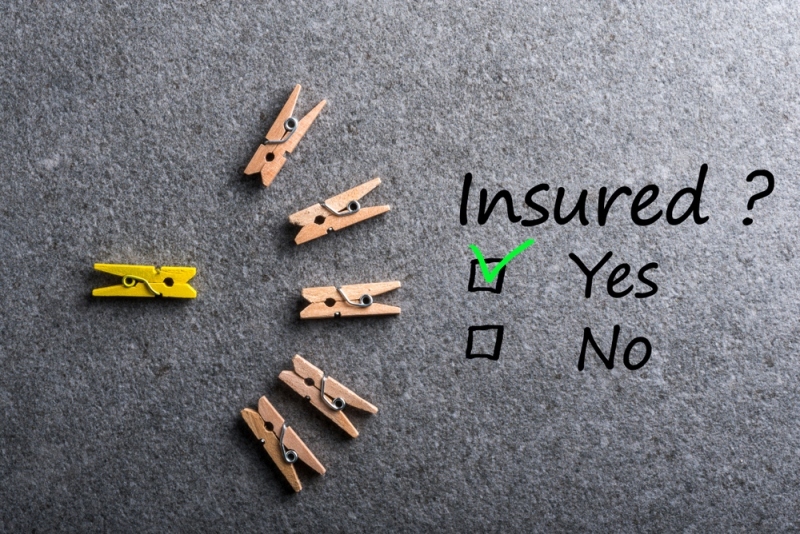 Furthermore, these types of businesses have issues in finding insurance companies that will provide coverage that is standard in other sectors of the economy. Products like general liability, product liability, and property, among other policies, are difficult to obtain if operating dispensaries, growing cannabis, or producing cannabis-infused items. As a reaction to the limitations in options, the industry came up with cannabis insurance to guarantee that marijuana-related companies had access to the same types of services afforded to practically all companies operating in the United States. Apart from the general problems that a cannabis-based business can encounter, the industry has an additional set of worries. For example, companies that grow marijuana have the same issues that other cultivators have when facing losses that result from natural disasters, drought, freezes, or diseases. Farmers will typically purchase a policy against these threats, as any of these problems can lead to excess or loss of moisture that will directly affect the quality of the crop. The federal government enters into partnerships with insurers for a lot of these policies. However, general and popular insurance companies do not offer these policies for cannabis. With the growing interest in legal marijuana plants, specialized companies have begun offering services targeting revenue, yield, and production history, among others, traditionally afforded to protecting common crops. In retail, general liability, product protection, property, and others are common policies that protect business owners from sustaining heavy losses when problems arise. These are general coverages that all businesses tend to purchase as retail locations are susceptible to fires, natural disasters, theft, and other scenarios. However, just like banks decline marijuana-based companies from using their services, the major insurance companies also left marijuana dispensaries out of the category of companies that can apply for coverage. Therefore, dispensaries used to face a major setback when looking for retail space as most landlords require general liability to protect property. Once again, the service limitation toward the cannabis industry provided forward-thinking innovators with a large and specialized market needing such products. Subsequently, these creative companies came up with a way to offer cannabis insurance to marijuana-based retailers. Other marijuana-based businesses face similar issues. For example, landlords that lease space to facilities that handle cannabis products are often denied coverage by standard insurance companies. From small glass blowers to companies looking to produce a trade show or an event, if the product or service is somehow related to marijuana, many of the top insurance companies will decline coverage. Ultimately, however, the service vacuum is providing a massive opportunity for cannabis insurance specialists that focus exclusively on serving an industry that is constantly ignored and underserved. Laws can make it difficult to operate a cannabis business; insurance is only one of the many limitations. These myriad restrictions are addressed with greater ease in certain states. Consequently, for those looking to start a weed-related company, it is important to consider places such as Oregon, Colorado, California, and Washington, among others, with marijuana-friendly laws, as these areas will have access to companies that can provide services and a level of protection for the business. Visit a state like Oregon, scout locations, and take the time to ask area specialists as many questions as possible. Look for things to do in North Bend, OR and learn enough about the area to make an informed decision regarding starting a cannabis business. Ensure that your businesses will be covered; avoid facing any avoidable liability without insurance.